Godetevi questa capanna di legno in un ambiente tranquillo. Affascinante cabina di tronchi vera con stufa a legna, GRANDE bel portico anteriore, un sacco di spazio per i bambini a correre, l'accesso alla piscina comunitaria e parco giochi. DURANTE LA SETTIMANA CI SARA 'UNA SPESA DI $ 20 PER PERSONA DOPO UN GRUPPO DI 4 (ECCETTO UNA FAMIGLIA CON PICCOLI BAMBINI). QUESTO NON E 'VALIDO PER I MESI ESTIVI. CONTATTARE PER ULTERIORE CHIARIFICARE. NESSUN OSPITI SOTTO IL 25, TRANNE UNA FAMIGLIA CON I BAMBINI. C'è anche un pozzo del fuoco e barbecue. Vicino a Camelback impianti di risalita, il parco acquatico interno / esterno, fodera zip e montagne di montagna. Città storica di Jim Thorpe con giro panoramico in treno, bike, trekking, kayak, rafting. Negozi outlet, il mercato del sabato Amish molti scelgono le proprie fattorie. 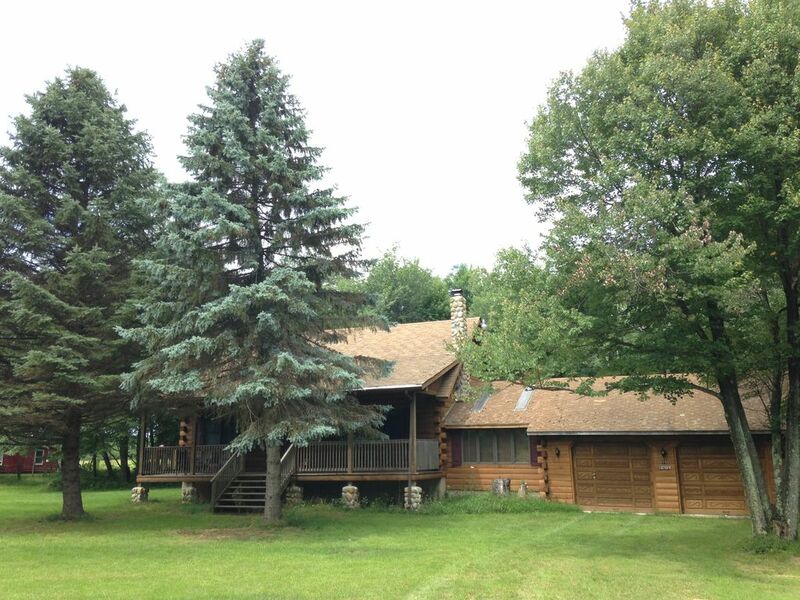 Beautiful log cabin & perfect family getaway! This beautiful log cabin was perfect for our annual sibling getaway. There was plenty of space for all of us (6 adults & 2 children), plus extra space for an air bed in the room leading to the back deck. Some of our favorites were the large front porch & lovely porch swing, the grill on the back deck & the fire pit in the yard. The location of the community is also the perfect distance from civilization: not too close, but not too far. The hosts were also very helpful, easy to contact & provided clear instructions that were easy to follow. We definitely recommend this home to anyone looking for a relaxing time close to nature. We were lucky enough to have some snow during our stay on Saturday. Cabin is cute and clean. Wifi works and fireplace creates a cozy cabin feeling. Perfect for our weekend getaway. The best vacation in the most adorable cabin...Everything was perfect...Thank you Claudia! Much more than we expected! We had a wonderful 4 night stay in August at the Welcome Home Cabin. From the start, our stay was much more than we expected! The pictures do not adequately describe how much room there is in this home! The owners left a ton of information for our stay. There is a large community pool right next door and a very large yard for our kiddies to play and explore. Deer often walk right behind the house. We enjoyed marshmallows by the the fire and burgers on the grill. The state park was closer than we expected... and Boulder field was really something to see! The area was great. We will definitely be back to visit, and will surely stay at the Welcome Home Cabin! Ci sono molte attrazioni nelle vicinanze, vi daremo i più popolari: pista da sci Camelback (inverno), il parco acquatico interno / esterno, fodera zip e montagne di montagna. Città storica di Jim Thorpe con percorsi di treno e bike scenici così come negozi di paese e negozi di antiquariato. Kayak sul fiume Delaware. rafting sul fiume Lehighton. Outlet. Sabato mercato degli agricoltori Amish. Molti scegliere il proprio fattorie vicine. Mount Airy Casino / concerti e intrattenimento. Così come escursionismo e la caccia. • Golf - in tutto il mondo! • Equitazione - in tutto il mondo! Troverete su questa attività del sito web per tutti i gusti per tutte le aree nelle Poconos. No pets allowed, no shoes worn upstairs, no smoking inside the home. PLEASE NO GUESTS UNDER 25 UNLESS WITH THE FAMILY. NO PROM GROUPS, NO BACHELOR PARTIES. THANK YOU SO MUCH DURING THE WEEK THERE WILL BE A CHARGE OF $20 PER PERSON AFTER A GROUP OF 4( EXCEPT A FAMILY WITH LITTLE CHILDREN) . THIS IS NOT VALID FOR THE SUMMER MONTHS. PLEASE CONTACT TO FURTHER CLARIFY. CASE TO CASE BASIS.